When you light up a metal nanoparticle, you get light back. It’s often a different color. That’s a fact – but the why is up for debate. The longstanding debate, with determined scientists on either side, is about how light of one color causes some nanoparticles to emit light of a different color. Cai, the paper’s lead author, said the debate arose out of semiconductor research in the 1970s and was more recently extended to the field of plasmonic structures. Eight years ago, Link’s research group reported the first spectroscopy study on luminescence from single plasmonic nanorods, and the new paper builds upon that work, showing that the glow emerges when hot carriers – the electrons and holes in conductive metals – are excited by energy from a continuous wave laser and recombine as they relax, with the interactions emitting photons. 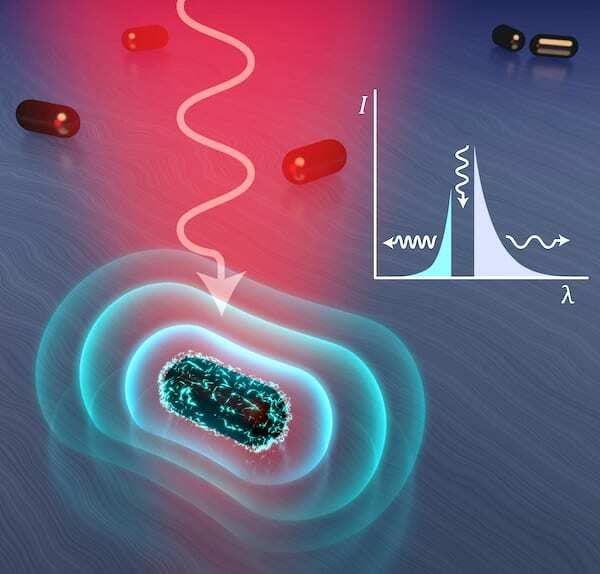 By shining specific frequencies of laser light onto gold nanorods, the researchers were able to sense temperatures they said could only come from excited electrons. That’s an indication of photoluminescence, because the Raman view assumes that the equilibrated temperature of phonons, not excited electrons, are responsible for light emission..
Link and Cai say the evidence appears in the efficiency of anti-Stokes as compared to Stokes emission. Anti-Stokes emission appears when a particle’s energetic output is greater than the input, while Stokes emission, the subject of an earlier paper by the lab, appears when the reverse is true. 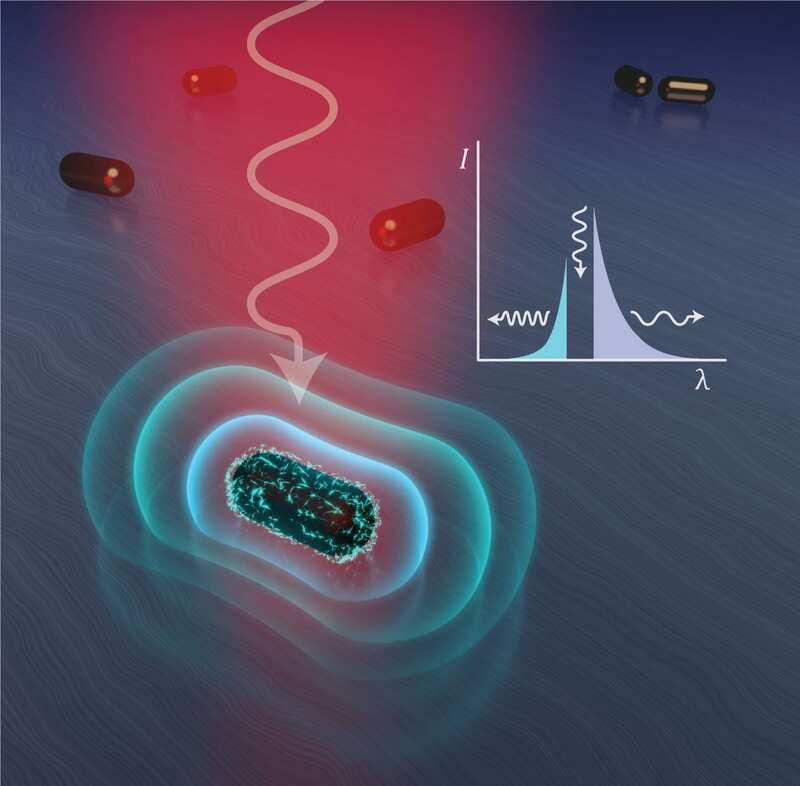 Once considered a background effect related to the phenomenon of surface-enhanced Raman scattering, Stokes and anti-Stokes measurements turn out to be full of useful information important to researchers, Cai said. Silver, aluminum and other metallic nanoparticles are also plasmonic, and Cai expects they’ll be tested to determine their Stokes and anti-Stokes properties as well. But first, he and his colleagues will investigate how photoluminescence decays over time. “The direction of our group moving forward is to measure the lifetime of this emission, how long it can survive after the laser is turned off,” he said.